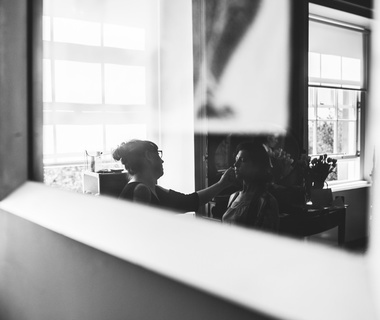 My 20 years of fashion, editorial, film and television experience give me great knowledge and insight into how make-up performs, especially under pressure, and this is invaluable for wedding day make-up. As a photographic make-up artist I know how the make-up in my kit looks when photographed and I use the best products so you won't get that nasty white ghostly halo. Whether it be barely there make-up or full on vintage make-up I can meet all your wedding day needs from bride to bridesmaids and not forgetting the wonderful mother of the bride. A trial is recommended beforehand and can take a few hours of us discussing what you are hoping for and what you like and don't like. I like to see things that have inspired you for your wedding day like magazine cuttings, bouquet colours and of course pintrest. It is also helpful for me to see things you don't like so we don't make any needless mistakes! As I am just getting to know you it is really helpful to know when you don't like something so please don't be shy about telling me as I can not fix something if I don't know about it. I really won't be offended. I am solely a make-up artist and don't do bridal hair but I can recommend a few hair stylists I have worked with on many occasions. I also recommend that your hairstylist comes to you so that all your creative team are under one roof and you don't have to make unnecessary and potentially stressful trips. For your wedding day I come to you whether it be at home or in your hotel if you are not resident in Scotland! For your trial I have a studio in historic Leith . My Editorial bridal work has featured in Best Scottish wedding's magazine and I have been lucky enough to be have been involved with The Vintage Wedding Show since it's conception and have done 2 wonderful shoots with them.